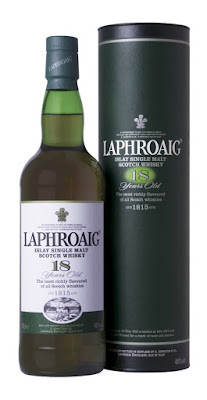 Laphroaig 18yo (48.0%): To be honest I was one of those guys complaining out loud when Laphroaig announced that they were replacing their great 15 year old expression with the new 18 year old one and basically doubling it's price tag. I still feel bad about not putting a few 15's in the cabinet that time before they totally faded out but I have to admit the new 18 happened to be an amazing, amazing whisky. Color: Dark amber, pine tree honey. Nose: Very mellow and smooth peat. Tar, brine and diesel engine exhaust. First aid kit and wet raincoat left closed in the closet. Cloves? Sea breeze. I could nose it till morning. A beautiful Islay nose... Palate: This is an exceptionally mellow and smooth Laphroaig. Extra three years in maturation rounded all the peaty edges. Bonfire at the beach, salted bonitos. Added water releases malty and oaky notes with some burnt caramelized apples stuck in skillet. Finish: Long and peppery. Seaweed and wet wooden stakes at the pier. Old wool blanket from the chest. 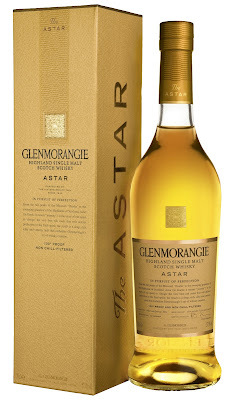 Overall: First of all it is a very different whisky than the 15 year old one. Therefore I don't think that it makes sense to compare them all the time. Secondly: Wow..!!! What a dram..! As a true peat geek it definitely became one of my favorite whiskies right away. Yeah, it is quite pricey but it is a great bottle to have if you want to raise a dram or two for special occasions. Absolutely delicious..!